D. Kevin Williams has collaborated and conducted workshops for over fifteen years, introducing students to elements of performance, improvisation and presentation including musical theatre, Shakespearean works and stage combat. Unique exercises which combine sound and movement allow participants to share creative ideas in a safe environment and develop trust and confidence. In D. Kevin’s residencies, more advanced students are given opportunities to learn various aspects of theater and avenues of the profession additional to performance (ie. resume building, voice-over opportunities, attending performances, auditioning skills, etc.). D. Kevin’s wide range of performance credits include commercials, both local and regional, as well as radio and television voice-overs, most notably the Emmy-nominated animated children's series "Liberty's Kids". He has performed in Nebraska and North Carolina Shakespeare Festivals, the recent film "For Love Of Amy", as well as the National Broadway Company tour of "The Color Purple". 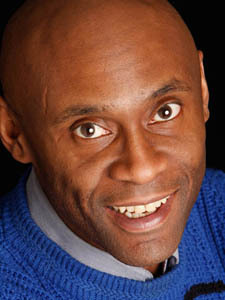 Of late, Kevin has provided drama workshops for the Omaha School of Music, Salem Baptist Church, and the Love's Jazz and Arts Center, while also performing with various local bands, and working with companies such as Charles Drew Community Health Center, 100 Black Men of Omaha, Upward Bound, and the Children's Respite Care Center.